James Ijames. Photo by Kim Carson. 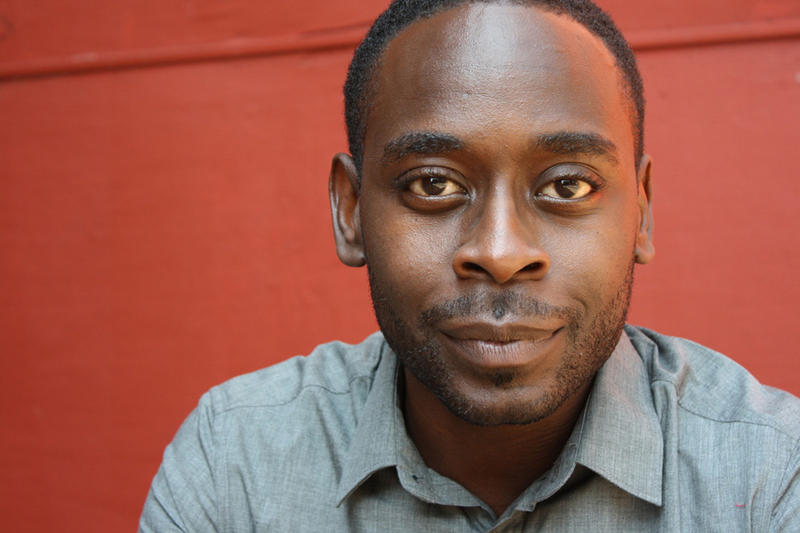 James Ijames is a Philadelphia-based actor and playwright. A founding member of Orbiter 3 Playwright Producing Collective, a member of the InterAct Core Writers Group, and a mentor for The Foundry, he is a recipient of the F. Otto Haas Award for an Emerging Artist, the Terrence McNally New Play Award for WHITE, and the 2015 Kesselring Honorable Mention Prize for The Most Spectacularly Lamentable Trial of Miz Martha Washington. He is an Independence Foundation Fellow and a 2015 Pew Fellow. He received a BA in Drama from Morehouse College and a MFA in Acting from Temple University, and is Assistant Professor of Theatre at Villanova University. He lives in South Philadelphia. Mr. Lawyer Man. (clipped) Evening. It’s a huge honor. I’m a big fan. You look great. … Thank you … but you’re … (whispering) You’re a negra. Would you please get out of my bedroom? I have been hired to come and help you with the state of your estate. That is inconvenient, isn’t it. Now … it is my advice to you … as legal counsel for the deceased, one Mister … (checks his files) George Washington. That you, being his most direct benefactor, should with all deliberate speed and effectiveness, free the slaves that have been, from the moment of his death, under your charge and care. Ab Initio of the activation of Mr. Washington’s Last Will and Testament, the circumstances of the living property of Mount Vernon have (searches for the best word) shifted. Henceforth and such and such, it would serve the de facto slaveholder, uh that’s you, Mrs. Washington, to be rid of the slaves the aforementioned slaveholder is currently keeping, clothing, and feeding. Shelter is running out, as Mount Vernon has accommodations for no more than one hundred and sixty slaves, give or take the baby in the dresser drawer upstairs. I have done an extensive review of the plantation’s assets. In addition to the aforementioned expense of said slaves, I give a further caution. I am concerned about the protection and well being of the slaveholder in the absentia of Mr. Washington. The slaves’ awareness of the circumstances surrounding their future emancipation has created a heightened state of hostility between the aforementioned Mrs. Washington and said slaves. You’re good! What does all of that mean? Ipso facto … get rid of ’em fo they get rid of you? Great so … wait … No? —That’s the most ridiculous thing I have ever heard. Do you suggest that I take to plowing fields and washing floors as well? Who’s going to take care of me?! You really think you need two hundred slaves to take care of you? —George! He sent you! Where is he? Mr. Washington is currently indisposed. Well! I never! In all my … How am I supposed to function without slaves? I’m an old woman. Old Uncle Ned is old. He’s older than you in fact and yet…he manages to make his own breakfast eeeeeeeeeeevery morning and pick his own tobacco eeeeeeeeeeevry day. And bring you breakfast eeeeeeeeeeevery day. Doesn’t it seem strange to you that you can’t do the same…seems strange, Martha…seems strange. If memory serves me correctly, George didn’t seem to mind Ned shining his boots. I’m not at liberty to discuss Mr. Washington’s morals. But…can’t a man change his mind? Can’t a man see the error of his ways? Hindsight, Martha. Hindsight! You expect me to free them…all of them? Yes, that would be correct. I don’t know. Why didn’t he do this when he was alive? —No really. Now that it’s just me it’s a splendid idea. Do I have that right? Do the right thing, Martha. I quite like my life. I think I shall keep it exactly the way it is. Do you think that’s … wise. Where are you going … you … just got here. Don’t you want to … stay a while? Read more work from the 2017 Whiting Award winners.